Tim has hiked and climbed for over twenty five years in the Yorkshire Dales, English Lake District, Scotland and Europe. He openly admits to being a ‘fairly average climber’, but his love of wild places has driven him to the higher mountains. From long distance hikes including Offa’s Dyke, the West Highland Way and the Coast to Coast to a reasonable number of Munros, into more vertical routes such as those on Skye and Ben Nevis in Scotland, Borrowdale and Gimmer in the Lakes to Brevent in Chamonix and Hexenstein in the Dolomites and Puig Campana and Sella in Spain, this has been a natural progression to the high mountains of the world. 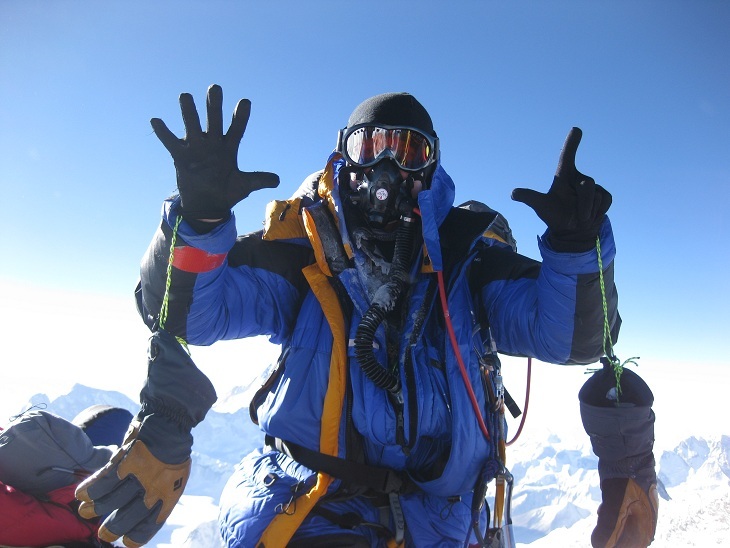 May 23rd 2010 saw Tim standing on the summit of Everest and marked the end of a quest to climb the Seven Summits. Not perhaps the hardest of mountains to climb, but one that requires commitment, determination and good luck. Other mountains that Tim has climbed include; Kinabalu – Borneo, Kilimanjaro – Tanzania, Elbrus – Georgia, Aconcagua – Chile, Kosciuszko – Australia, Denali – Alaska, Mont Blanc du Tacul and Mont Blanc – Switzerland, Cho Oyu – Tibet, Carstenzs Pyramid – West Papua, Toubkal – Morocco, Mt. Vinson – Antarctica, Ama Dablam – Nepal, Cayambe, Cotopaxi and Antisana – Ecuador.